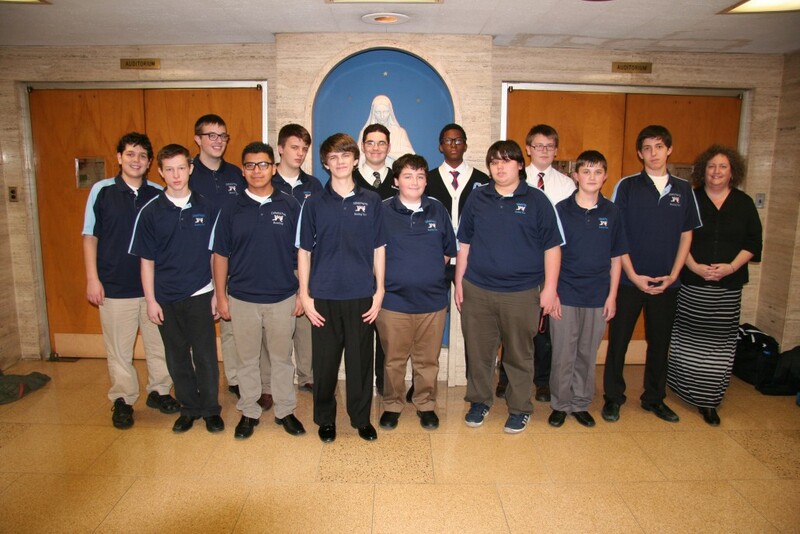 Cathedral Prep’s Varsity and JV Bowling teams met on Tuesday, December 30th, to celebrate the end of bowling season. The players, and their coach, Mrs. Gluszak, met at Whitestone Lanes to bowl a few games and have lunch. Bowlers separated into three teams, led by Andrew M., Tom S., and Christopher K. Team Turkey Time (Tom S., Hunter L., Mrs. Gluszak, and Joel E.) won the first game, while Team Foul-line Flannery (Andrew M., Tyler F., Tom C., and James T.) took the second match. Andrew M.’s turkey helped him to the high score of the day (178). Thanks to everyone who came out to bowl.